Need Heating Oil Fast? Call Now! One of the best things about COD heating oil is that there are no contracts, and you're not bound to a supplier. This lets you the freedom to choose another supplier anytime you need oil. At “24 Hour Oil Delivery” we know that a fair price should never compromise the fuel quality, so we always keep our heating oil clean and properly filtered. With our services you'll never ever get filthy oil from the inventory bottom. There are many suppliers of heating fuel across Long Island, and despite it gets high competition on the market, there is a great risk as some of them close and some new start doing heating oil delivery every year. When you want to change a supplier you need to know your new supplier well. “24 Hour Oil Delivery” guarantees that you will always get high quality oil at the lowest price. Our experienced oil team will get you COD oil, whenever you need, but you should know that our services cover much more. As you can see, we offer complete oil heat solutions. It is always good to have a heating oil supplier which knows all other things related to heating, since our technicians will know your system and your heating needs well, no matter which delivery option you choose – automatic delivery or COD. “24 Hour Oil Delivery” will take care of your system fully, and relieve you from all worries regarding it. Once you choose “24 Hour Oil Delivery”, you will never need to know any other number when you have anything to do or ask regarding heating. If you choose us you will get complete coverage of any damage done to your system. “24 Hour Oil Delivery” accepts all major payment cards, bank certified checks and money orders besides cash. Payment is due on delivery, so you need to make sure you have enough funds and make sure the amount of heating oil you ordered is correct. We will get you the best heating oil quality on Long Island. Contact “24 Hour Oil Delivery” now to prepare yourself for the upcoming winter and remain always sure that your home will remain warm until the next spring. Automatic Delivery - have a piece of mind knowing you won't run out of oil, you can feel even more comfortable with our accurate automatic delivery service. Emergency Oil Delivery, as we always have enough oil in stock, as well as available drivers and delivery trucks. If you require urgent delivery, you will get your oil the same day in most cases. Heating System Maintenance, which includes regular tune-ups, filter replacement, cleaning the tank and repairs on the other parts of the system. 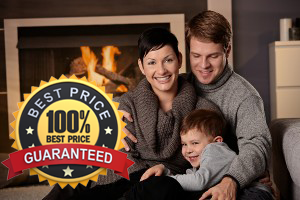 Boiler or furnace repair. Whenever you in need, we know it's always urgent. Tank removal and installation. A new and larger tank increases your energy source independence. 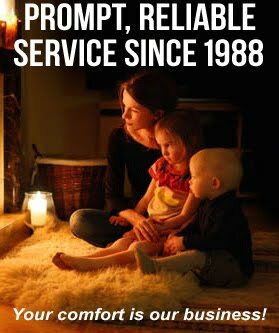 Chimney cleaning and repair, regardless what fuel you use.